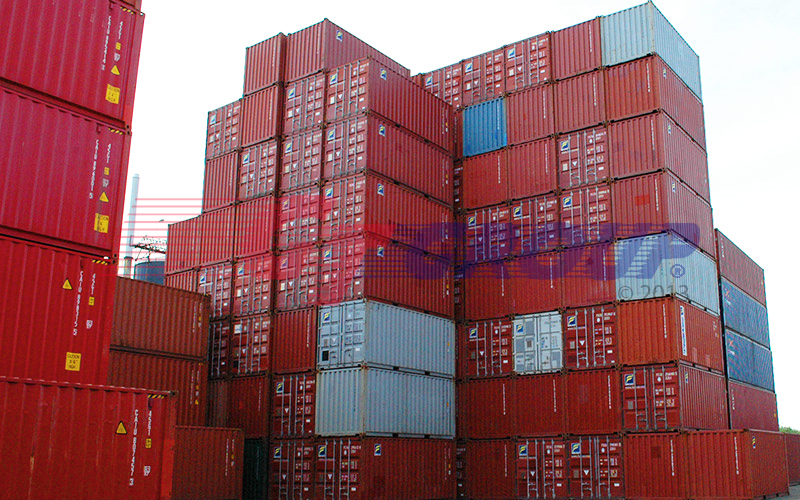 The Container Depot is an established terminal for leading shipping and leasing companies around the world. 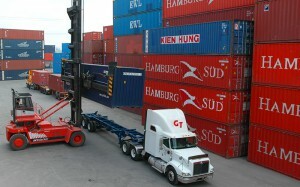 It is the largest privately owned terminal in the Montreal area. 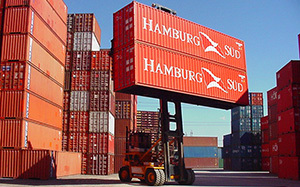 With over 2.5 million square feet, we can provide spacious storage areas with excellent road access and an ideal location, only 6 miles (10 km) from the Port of Montreal.Thanks to our staff, the latest in container handling equipment and integrated computer network, the service we provide is one of the fastest and most reputable in the city. Our efficient staff of IT professionals and programmers endeavors to adapt to the client’s profile for their equipment information requirements. 2.5 million sq ft of storage space enable us to store 22,000 TEU, stacked up to a maximum of 9-high. 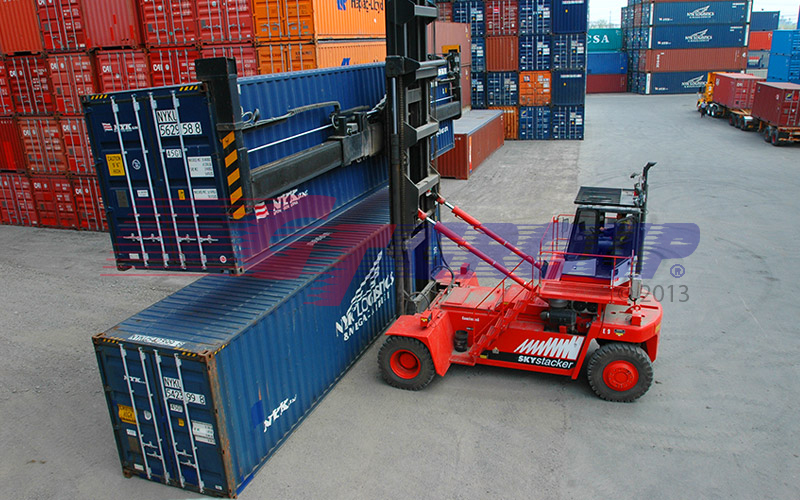 We operate 8 Fantuzzi Reachstackers for fast & efficient handling of empty containers. This equipment is suitable for carrying 2×40’ units simultaneously, allowing maximum time-efficiency. We also operate 4 Fantuzzi container stackers for full containers, each with a lifting capacity of 99,000 lbs. The Radio Frequency System, combined with our state-of-the-art software applications, allows us a permanent overview of the depot stock and container locations. By utilizing these systems we are able to reduce and even avoid waiting times for truckers resulting in better ‘first in – first out’ performance for our customers. A handling fee will apply to each container delivered to our depot while the first thirty (30) days storage is free of charge. We provide the following services at no extra charge: Interchange Receipts, Equipment Inspection and a Weekly Container Inventory Report. Qualified, experienced and highly motivated personnel, available 24 /7. Optimization of modern equipment and operational procedures leads to shortened repair times. Reefer body specialists handling over 3,000 repairs per year. Fully Equipped Workshop measuring 20,000 square feet equipped to handle 20 TEU. Paint shop for 2 TEU. Our four (4) fully equipped mobile repair units carry nothing but the latest container repair equipment. We offer M.I.G., T.I.G. and stick welding for both aluminum and steel containers. Our mobiles carry all necessary electric, air and hand tools to complete all types of repairs on the spot. Not to mention that all our tarpaulin patches are weld bonded not glued. 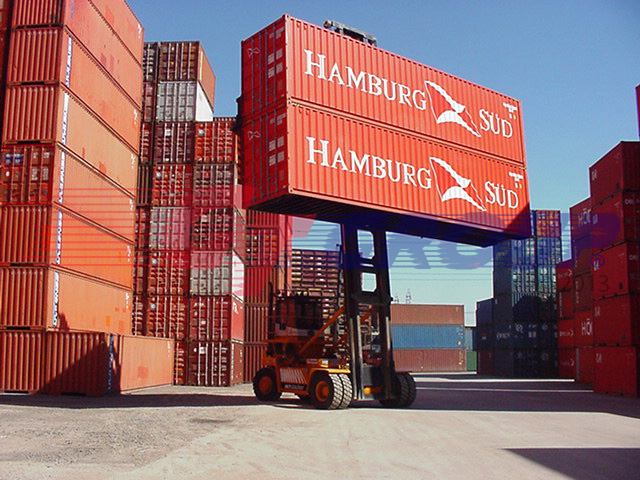 Since we are located within a very close proximity to most major container terminals and ports in the Montreal area, repairs can be carried out in the same day as requested by our customers. 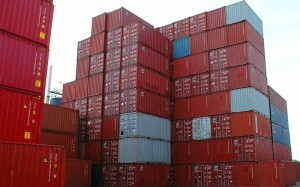 Should your containers require major structural repairs and/or modifications, we offer transport to our repair facility in Montreal, where our experienced welders & metal fitters will perform the necessary repairs efficiently and quickly. Our Pre-Trip Inspection (PTI) area accommodates over 110 reefer-connection-points and allows direct access for specialists allowing Maintenance & Repair (M&R) of reefer units. 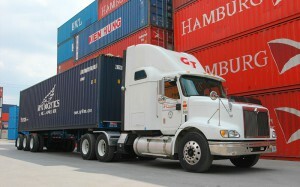 GT Group has two portable backup generators equipped with 32 reefer plug-ins each for additional support when required. It is our policy to let our clients select their own preferred partner for M&R of reefer units in order to be able to adhere to possible global commitments and policies. At our extensive cleaning facilities we are able to clean up to 16 units simultaneously in compliance with the standards within the industry. We also offer fumigation services where required. GT Group recognizes the importance of the environment in which we work and live and consequently we conduct our business in a manner preventing environmental pollution. Our cleaning facilities fully comply with this policy. Electronic Data Interchange (EDI) is the electronic exchange of routine business transactions. These transactions include such documents as purchase orders, invoices, inquiries, planning, acknowledgements, pricing, order status, scheduling, test results, shipping and receiving, payments, and financial reporting. EDI permits hundreds of unrelated companies to communicate and process business transactions electronically. EDI works because it relies on a standard system that everyone can use and is developed under the guidelines of the American National Standards Institute (ANSI), the coordinator for national standards in the United States. It saves a lot of trees. Traditionally, the manufacture and sale of new products and services has been accompanied by a long paper trail consisting of order forms, invoices, bills of lading, and a variety of documents containing specific but crucial data. We have a secure designated Reefer section to better serve our customers within our terminal. 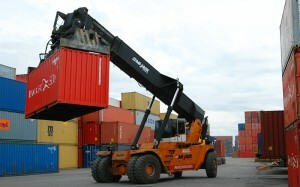 Our terminal Refer Plug-in Capacity is 110 Reefers. GT Group’s fully fenced 2.5 million sq ft container depot and terminal is protected 24 hours day, 7 days a week, by over 50 cameras strategically placed throughout the premises. All container movements within the yard are monitored and security guards physically check each and every vehicle, truck and chassis that enters or exits the terminal.The GT Group is a proud member and certified by Customs-Trade Partnership against Terrorism (C-TPAT). C-TPAT is a joint government-business initiative to build cooperative relationships that strengthen overall supply chain and border security. 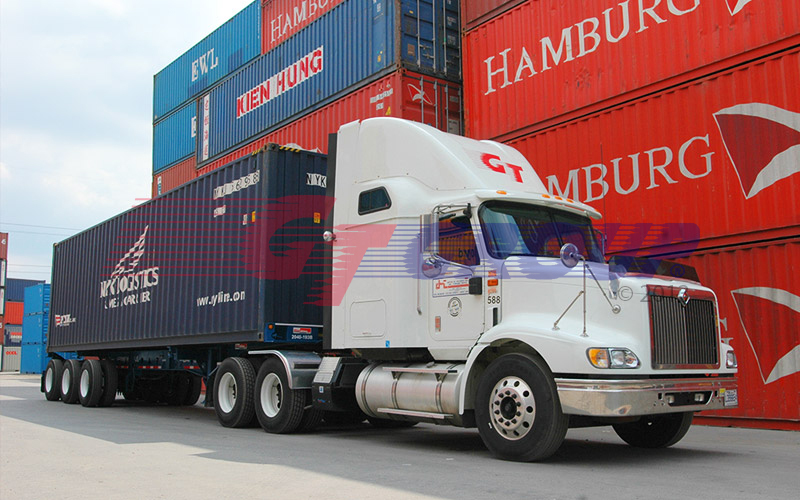 C-TPAT recognizes that customs can provide the highest level of security only through close cooperation with the ultimate owners of the supply chain-importers, carriers, brokers, warehouse operators and manufacturers. Through this initiative, customs are asking businesses to ensure the integrity of their security practices and communicate their security guidelines to their business partners within the supply chain. Partners in Protection (PIP) is a Canada Border Services Agency (CBSA) program that enlists the cooperation of private industry to enhance border and trade chain security, combat organized crime and terrorism and help detect and prevent contraband smuggling. It is a voluntary program with no membership fee that aims to secure the trade chain, one partnership at a time. Industry strongly supports the PIP program and greatly values the commitment of PIP members to do their part, together with the CBSA, to secure the supply chain and facilitate legitimate trade.